have proven to be bad. art would not be something I could partake in. I may find out about it later. I think this discussion needs to be continued. It has my head spinning. even though it is hard to do. the real art comes from the troubled places in us? that they lose sight of the channeling banks? We need not excuse the wrong-doing to be touched by the art. except love people for who they are. Help them achieve better than they did before. We can't cut people out of the herd and consider our jobs done. If trees fall, we make furniture. 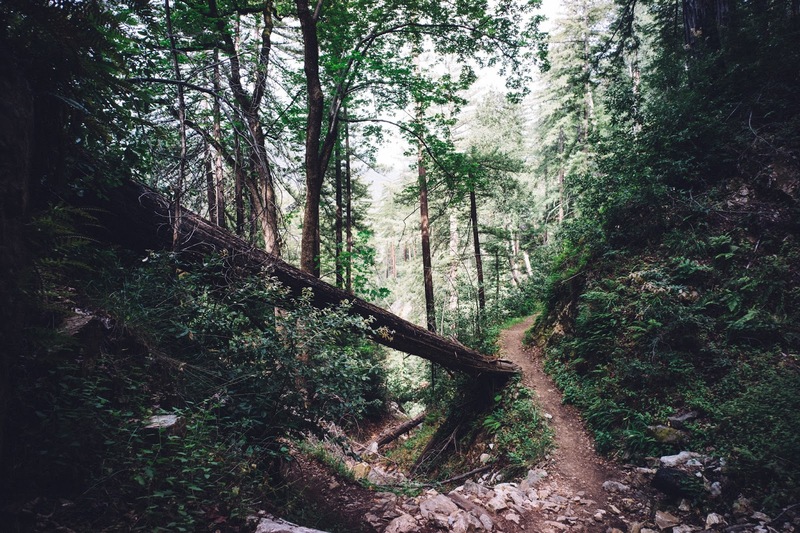 When a forest burns, new seeds take root. This is a poem I found in the comments on last week's Poetry Friday post. I created it in appreciation for your thoughtful responses to my lament about the loss of the Writer's Almanac. They were just to good to leave in the comment boxes! 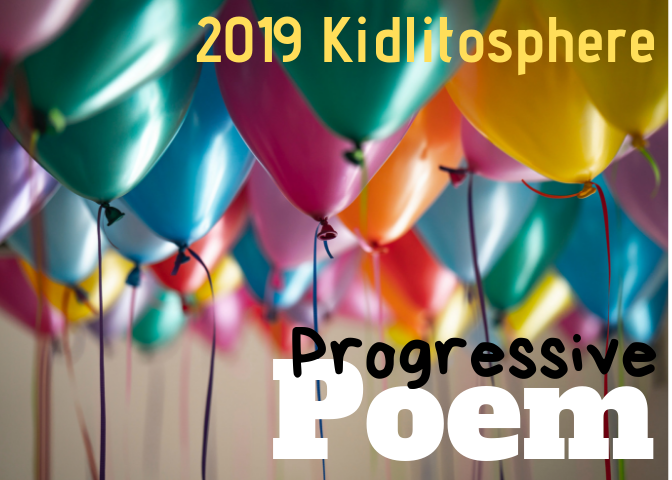 Liz has today's Poetry Friday Roundup at Elizabeth Steinglass. In the author's blurb on the back jacket flap, we learn that Sally M. Walker majored in geology in college. 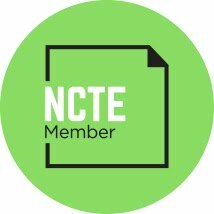 How fun is it to show students that academic knowledge can be translated into poetry! This will be a go-to mentor text in my classroom for students who are having fun with nonfiction by writing in different formats. 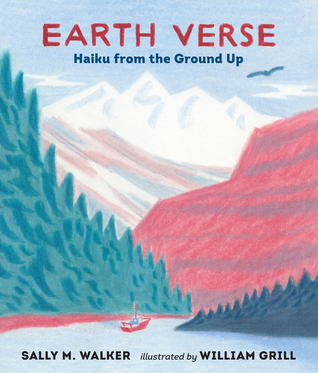 The book features poems about Earth, minerals, rocks, fossils, earthquakes, volcanoes, atmospheric and surface water, glaciers, and groundwater. I didn't notice them at first, but there is a tiny icon at the bottom of the pages with poems that signals the topic and helps the reader see the connections between several pages of poems. In keeping with the SALLY theme, this week's Poetry Friday roundup is hosted by Sally Murphy! I have two more Strong Girl books to add to your TBR stack and to your library. 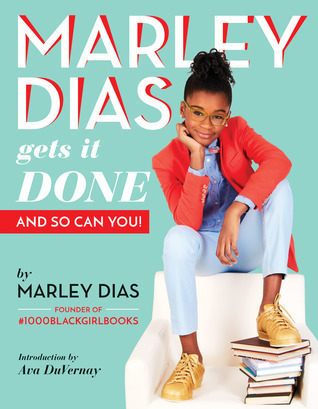 Marley Dias, founder of the #1000BlackGirlsBooks movement has written a book that is part memoir and autobiography and a whole lot Girl Power. This full-color book is jam packed with advice, inspiration, and action steps for young social activists. My favorite chapter is "Be The Change You Want to See in the World: Get Woke." She identifies three levels of Wokeness: Awareness, Consciousness, and Wokeness, then illustrates the levels using Disney Princesses. Cinderella is aware, Jasmine is conscious, but Mulan and Belle are full-on woke. It wouldn't be Marley Dias if she didn't have several sections on books and reading (her section on How To Read is fabulous! 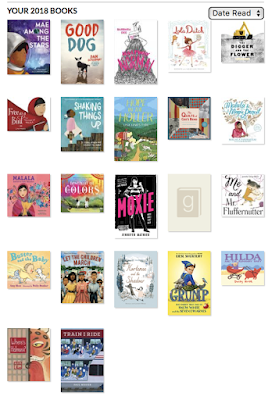 ), plus an extensive booklist of books that feature black girls as the protagonist. This book features the stories of 25 women from all times in history and from all over the globe. 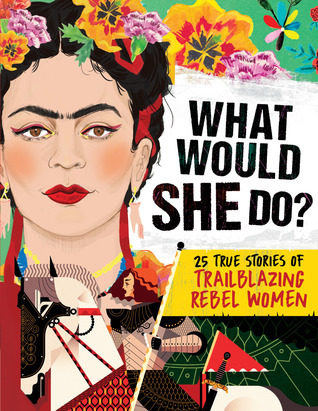 For each woman, there is a short blurb, full-color illustrations, a single-page highly readable biography, a quote...and a question that a modern girl might ask with an answer based on that woman's life and legacy. Because of all of these features, this book will be accessible to a wide range of readers, and will likely be one they go back to over and over again to dig more deeply into the lives of these inspirational women. Jaclyn Friedlander of Friends with Fins was a 4th grade student in my class several years ago. Recently, Jaclyn messaged me reminding me about a few of the books she remembers from 4th grade. It's always great to hear from a past student-even greater to hear about a book they remember. As a teacher, I see read aloud as one of the happiest and most important times of every day in the classroom. So happy to see that Jaclyn agrees! Enjoy! The current cover along with the cover of the book that we read aloud in class. One of my favorite memories from elementary school was read-aloud time when we would sit on the floor and listen to our teacher read books to the whole class. Independent reading time was great but there was something magical about sitting as a group and imagining the story for ourselves while we listened to the teacher’s voice. 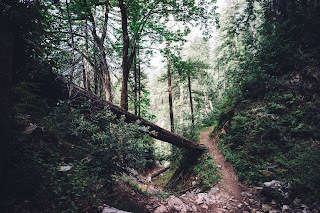 I can vividly remember some of the stories that have inspired adventures in my life. One teacher read Loch by Paul Zindel. The book we were reading together often sat on the ledge of the chalkboard and the cover of that particular book terrified me, but the story was so fascinating that I did research and reports on the Loch Ness Monster throughout the rest of my formal education. Then when I had the opportunity to go to England as an adult, I added a few days to my itinerary and made a special trip to Scotland on a hunt to see Nessie. I went on a tour boat and heard about the legend, its origin and how it has evolved, as well as scientific theory behind what the Loch Ness Monster is. Another book that had a particular impact on me was The True Confessions of Charlotte Doyle, by Avi. I remember as a 4th grader in Franki Sibberson’s class, LOVING that book and coming to school every day excited to hear the next chapter. My favorite part was when Charlotte chopped off all of her hair because she wants to fit in with the sailors, or so that’s how my mind remembered that moment. I recently re-read the book and she does chop her hair but for slightly different reasons. In the back of my mind I always thought it would be amazing to be like Charlotte Doyle and have an incredible adventure at sea. 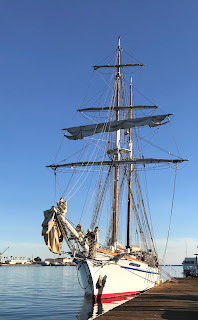 Between hearing that book read to us and being passionate about the ocean, learning to sail has been in the back of mind as something I would like to do. I have explored the sea as a scuba diver and I now have the opportunity to learn how to sail. I will be learning to sail tall ships with 85 lines and 13 sails, just like the one Charlotte Doyle was on! I’m excited to learn a new skill and see where this adventure takes me! One of the ships that Jaclyn is learning to sail. There is something inspiring about sharing stories aloud and you never know what great adventures, life experiences, undertakings, or professions the stories will lead to in the future! I am missing adult fiction but I read a YA book so feel good about that. I think looking at this list in this visual form that Goodreads allows each month will be helpful as I think about balance overall. For February I'd like to fit in at least one Adult or YA novel. I know I had more time to read in January than I will in February but I am hoping to continue meeting the goals for the year.